Vineyards and winemaking have a long history in Hawke’s Bay. Since the 1980s vineyards have also been tourist attractions, and many also have restaurants to create a complete gastronomic experience for visitors. 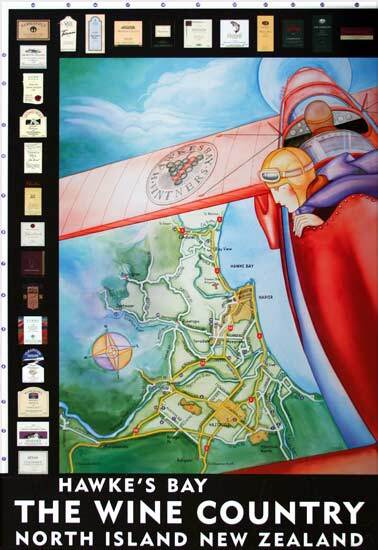 Local winemakers have banded together to create marketing entity Hawke’s Bay Winegrowers, which promotes the region’s fine wine and encourages tourism by publishing posters like this one.